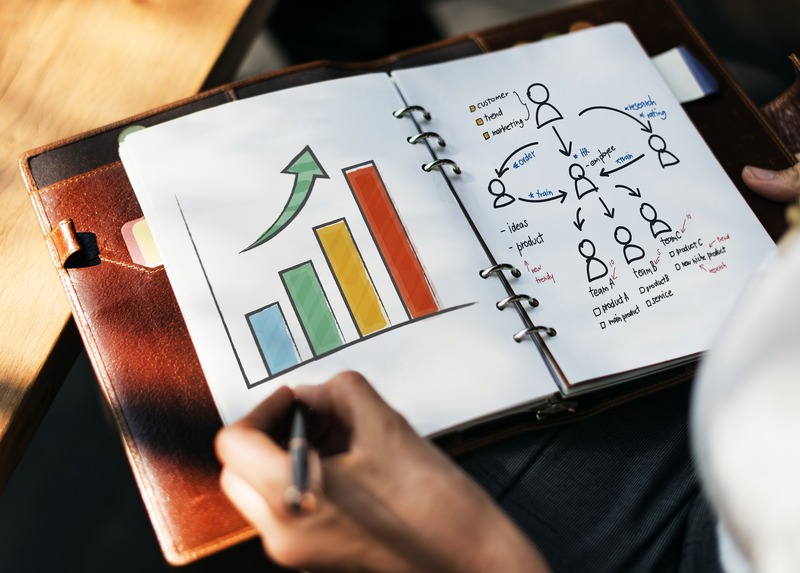 Lead generation is such an important factor in marketing that you just can’t go without a good lead generation strategy. A lot of people think that they have got everything covered when it comes to getting traffic to their website. Gone are the days of traditional marketing because the internet has changed the way we do things. From running a business to communicating with someone, almost everything has its online version. One of the reasons why people fail to generate leads is because they are still using traditional marketing strategies to promote their business online. The dynamics of the online world differ vastly. There are new tools and avenues that can make your business go to newer heights. 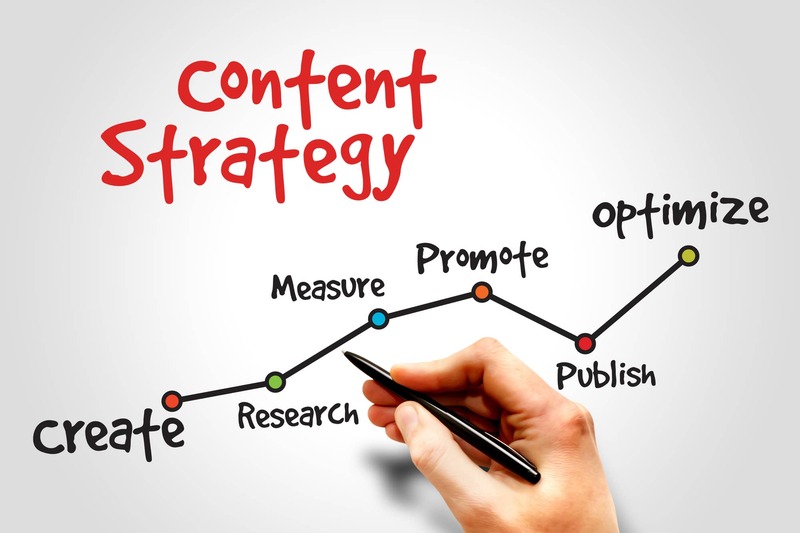 Content creation is one of the most powerful ways to attract leads to a website. But even that is not enough. You need to know what your target audience is in order to do so. If you have the wrong kind of content, you will end up having thousands of visitors on your website but hardly any leads. A lot of people have this confusion that the number of visitors per site can easily determine the number of leads; at least not when you have the wrong type of content on the website. The content could be anything, social media, blogs, videos, podcasts etc. as long as you know that it is reaching to the target audience, you are good to go. 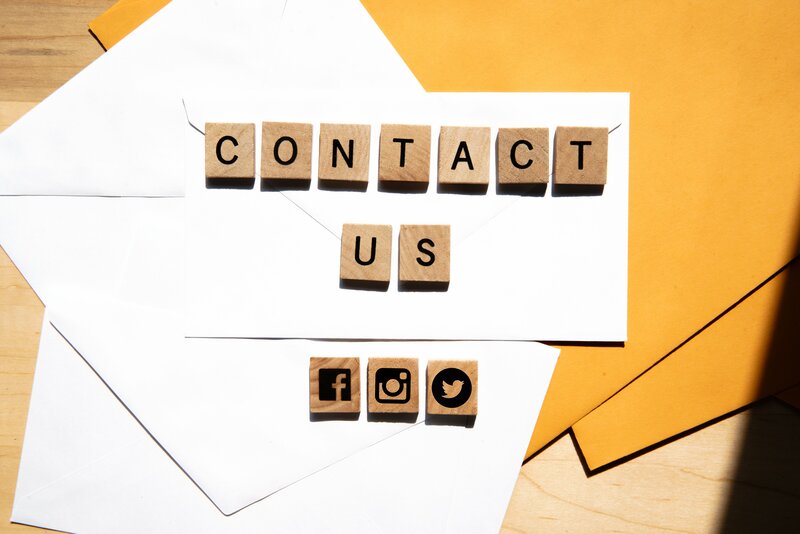 It is imperative that you mention your contact information on your website; more specifically a contact number. This isn’t mostly because you want to increase user credibility to potential customers. They might not necessarily call but at least they know that you are trustable and can be reached directly. If a contact number is not possible, an email and an enquiry form is always a must. 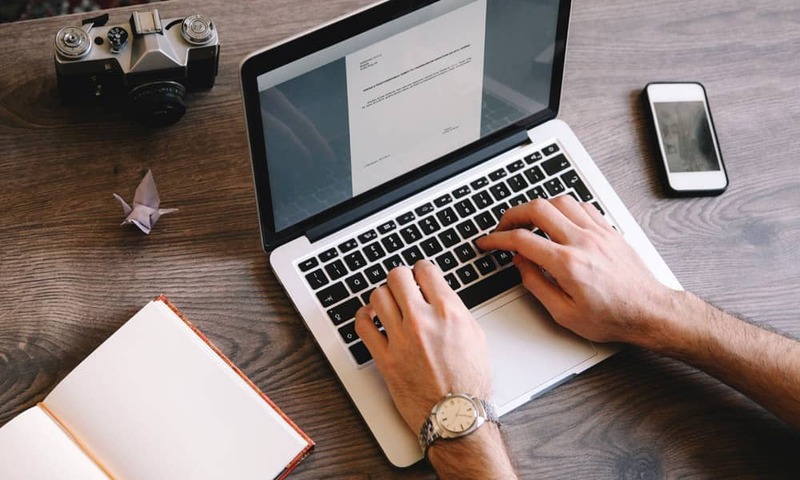 After your first couple of orders, be in contact with your existing customers and ask them for their feedback and if they would be willing to let you share their testimonials on your website. This is another way of showing your credibility to potential consumers because they will see firsthand unpaid reviews of verified customers. Amazon uses this effective strategy and even mentions if it is a verified customer. After every purchase Amazon sends an email to its customers asking to write a review for their sellers. You too can send emails and a rating system for your product or service that other visitors can read when they are visiting your website. Your website should have the ultimate sweet spot for the user. In other words, the sweet spot is where uniqueness, simplicity and user friendliness collide. Your website should not look like a unicorn and have everything on it. Have a minimalistic design that speaks more about your brand rather than the website design itself. Avoid using cookie-cutter and run of the mill type website layouts because they won’t make you stand out. Use words that directly speak to the subconscious of the consumer. This might sound sneaky but in reality it’s just a marketing tool which is being used by decades by various brands and companies to get more customers. Use words like “get”, “have”, “make” “instantly” etc to trigger the subconscious of the consumer and you will notice that it makes more leads than by using words like “can” or “may” these words imply that they may or may not aren’t trustworthy. If content is King then social media is the contents advisors. Social media brings in your content to the maximum number of people and to the target audience for your product or service. There are so many mediums available for you to share your content on therefore you need t pick the one that best suits your customer base. For e.g. if your product or service caters to a young crowd using social media like SnapChat can be beneficial for your brand. If it is more visual based then Instagram or Pinterest would be the right choice. Similarly if you have a B2B setup, then posting blogs on LinkedIn would be the right way to go about it. Facebook is the social media staple so having a Facebook button along with one or two more social media buttons on your website shows that you have an extension beyond the confines of your website. Like much of the business world, advertising has had major changes in the last 10 years. We have gone from word of mouth to paper to television, and now we are in the digital age. Digital advertising is a fairly new way for companies to reach new and returning customers. It is much more efficient because you can target your clients easier. Digital marketing isn’t just a walk in the park, however. 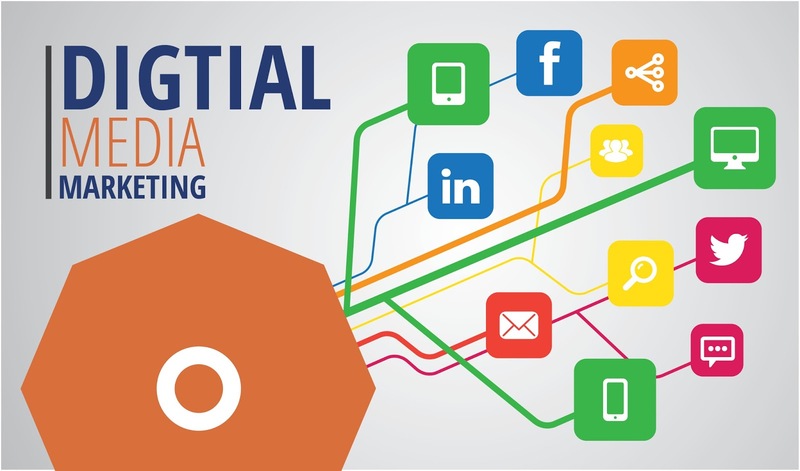 Stick around to learn how to exceed in your next digital advertising campaign. Now that digital advertising is a $83 billion a year industry, it has never been more important. This year alone, the industry is expected to grow almost 16%. Within this huge industry two main companies control the business. Google and Facebook together own 57% of the whole industry. Yahoo is the next biggest in the industry but with a mere 2.3% market share. In this new technological age advertising has gone through some major changes. With digital advertising giants like Facebook and Google, companies can target customers that are already interested in their products. For example, if I were to Google search for new computers, Google would know that I am interested in tech-related ads, and then tech companies ads would suddenly appear. This is not random, but individuals are targeted based on their past searches. This is what makes digital advertising so much cheaper than traditional advertising where companies would send out information to the masses and hope that the right people would see it. For more on strategies of online marketing, take a look at 7 Strategies to Maximize Website Visits. If you are looking to get the most out of your digital advertising campaigns, timing is everything. When your company pushes out content, you should be aware of the amount of user activity that tends to happen. If a company has clients around the world, be aware of time zone differences so that you can push the same ad at different times to maintain high ad viewership. When it comes to digital advertising, there are multiple routes a company can take. Right now videos are an extremely popular way of online advertising. In fact, users are 39% more likely to interact with an ad if it includes a video rather than text. This is because your brain processes video 60,000 times faster than reading text. Yes, 60,000 times. Another form of digital advertising is directly sharing articles. Once again the human brain is much more interested in seeing visuals, and that is why articles shared with pictures tend to have twice the number of page views. Lastly, when posting material such as blogs or advertisements, SEO or search engine optimization is extremely important. This is simply using keywords to move your material farther up on the search engine list. 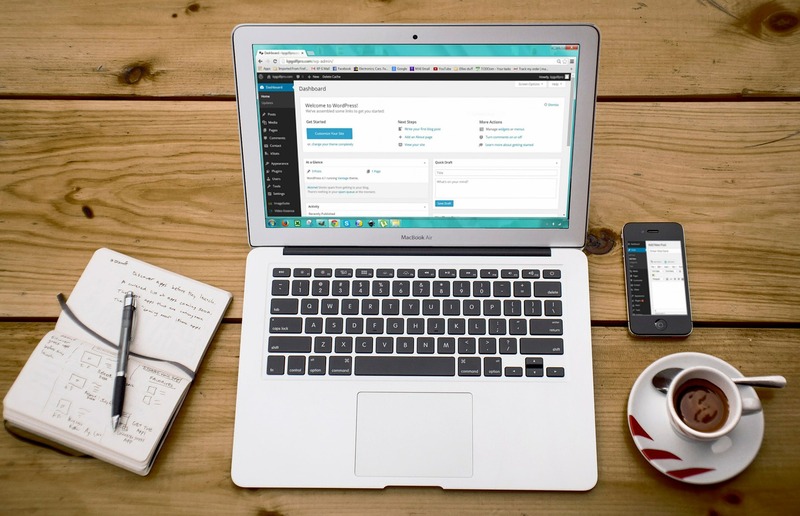 To read more on SEO and how to get more website views, check out 7 Online Marketing Strategies to Maximize Website Visits. When it comes to digital advertising, it is important to get your information out on as many channels as possible. 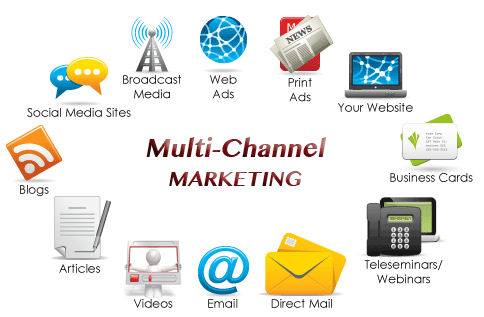 Channels are simply different ways you can communicate with your customers. These include articles, email, webinars, social media, TV ads and more. When it comes to digital advertising, once again Facebook and Google are the way to go. Digital advertising, although a relatively new field, is changing the way in which businesses communicate with customers. It generates over $83 billion a year and two tech giants, Facebook and Google, own an impressive 57% of the market. Because customers are using the search engines and social media, it is easy to track their likes and dislikes online. This makes it cheap and easy to target your customers or likely customers more directly. So if you’re going to be embarking on a new marketing campaign think about taking to the web and trying out digital advertising! From several hundred marketing experiments and campaigns we’ve come to appreciate that having a focus on the easy metrics do not have much of an impact on the business, if any at all. They tend to be merely numbers that don’t really amount to much more than giving us a false sense of our business’s success; their only purpose is to make us feel better about ourselves. The importance of a key metric is determined by the insight we gain about the customer which would in turn allow us to drive towards a desired behavior. How is the customer’s relationship with your business? How can customer service be improved? Why does a customer click on a certain page but bounce off another? What tangible benefits can your business derive from a particular metric? Learn efficient customer management today using conversational technology. Request a demo now. If these questions and more are not answered by the customer metric, then it is probably useless to your business and a waste of both time and money. They are also known as vanity metrics – they make us feel good about ourselves. The importance of a customer metric depends upon the type of industry. Some metrics are only useful if they are combined with supplementary metrics, which will then provide more thorough information; number two on our list of useless metrics is a glaring example of this. Firms fail to see the bigger picture and tend to lose themselves in the grandeur of success shown off by a single piece of metric. Disclaimer: Below are the customer key metrics commonly used by marketing teams when they launch out a campaign however if used alone are useless. I’ve provided some examples how to combine them to a marketing outcome. Imagine one of your videos got a million views while the rest of them still linger around the humble 1000 views range, does it justify you to boast about those million views? Of those millions of viewers how many are actually using an adblock service to blot out ads from appearing on your video? Consider a service which functions only within a specific geographical area; the service seems to be generating a hundred thousand views from locations scattered around the world. This high traffic count really doesn’t amount to anything profound at all since most of these visitors are not serviceable by the business. There is no online or offline business to be gained. Examples of such geocentric entities could be the police or fire department’s website. When used correctly however, consider the traffic generated as part of a lead generation campaign, and then understanding how much of the traffic you can convert into customers. Most sales teams feel pretty good about themselves when they gain a thousand new customers. They boast about it on social media networks, to peers and to their boss. What they don’t allow to sink in is the other end of the spectrum – you’re also losing previous customers. When you understand that gaining new customers should not be the goal but part of the means to achieve something, think about gaining new customers and understanding how many you can capture in any of your campaigns such as email newsletter capture or downloads of your eBook. Don’t rely on just AdWords to get the customers to your business. Your algorithmic search rankings will not gain any boosts just because you spent a higher amount on AdWords. Instead creating original and interesting content which attracts links and readers to your website will help you more. Your organic rankings will only boost if people actually like your content. This metric determines the number of times an ad is placed on a webpage. It doesn’t matter whether the user actually saw the ad or no. It doesn’t matter if your ad got placed on a million different websites. If you don’t know whether the audience saw it, you really can’t derive much insight out of it, can you? Its parable is that of a newspaper which is being circulated around a hundred thousand people. You know your ad is contained within every single one of these copies, but you can’t really tell if the ads are being viewed at all, or whether the page containing the ad is being browsed through. This metric died a long time ago. One of the most commonly cited reasons why Facebook likes are a preferred metric of choice is the gargantuan levels of reach the social media giant has acquired over the years. Today Facebook has 2 billion monthly users, but this really doesn’t help your business take off at all. Most of the ‘likes’ that social media sites like Facebook receive are just superfluous in nature – it’s like adding a fifth wheel to a car – there is no difference. The likes don’t really translate to the viewer actually clicking on any ads. Most users don’t even bother with the content of the page they ‘like’. Use the likes to gain and understand your audience – what are they interested in, break it down into demographics and start segmenting your audience. And then use this information to implement strategies from examples such as Social Media Examiner. Another metric for businesses that aim at gauging the quality of their content, page ranking is primarily used by link brokers and buyers. Google assigns page ranks to websites based on the number and quality of links that they contain. Fact though is that your business’s page rankings can be zero yet they will still rake in hundreds of unique visitors on a daily basis. Page ranking is so useless that Google removed it from their webmaster tools in order to make a point to SEO ‘experts’ that just didn’t get the message. Instead focus on linking your website and content with quality websites. When you’re working online, targeting the right audience is your main concern as it goes hand in hand with your success. A business that is unable to reach its target audience doesn’t just experience lower visibility on the internet, it also has to face failing or lagging sales and a waste of resources since it is unable to utilise them effectively. Request for FREE Conversation Software demo today and maximize your chances of getting to customers you want. For this reason, being aware of the target market is necessary to ensure that you’re optimising everything according to it. However, due to the vast nature of the internet, you cannot always guarantee that you’re reaching the right target audience. On the other hand, if you’re spending more time questioning whether or not you have successfully managed to reach the right audience, you might want to consider providing predictive customer services. To make things easier for you, let’s take a closer look at the points which identify the who, what, where and why in this scenario. Before you start out, you need to know who your target audience is. Consider this aspect much like you would when you’re building a physical, retail outlet. While you might be thinking that your products are meant for tech savvy individuals, elaborate on it further. Consider the age group of this target market. Take the location into consideration. Gender and income level also make an impact here. By taking the time to define your target market properly, you’re going to improve your chances of reaching out to them. Keep in mind that niche target markets are just as challenging to reach out to as broad target markets, even with predictive customer services. It might take you some time to find your balance here but it is not impossible. Here, you need to assess what your business’ aims are and the reason behind your need for better target marketing. Do you want to find out if you’re meeting their needs? Do you want to expand your offerings? Do you want to maximise sales? Do you want better growth? Do you want to tap into a new market? Do you want better exposure? Whatever your reasoning is, you need to make sure that it aligns with the wants and needs of your target market. For example: If you’re a start-up, you’re going to want better exposure and growth as well as better sales. Resources are also limited in such scenarios. For this purpose, identifying your target market can ensure that not only are your resources properly utilised, but that your marketing is also on point, which results in more sales. Making use of predictive customer services also becomes easier as the target audience and your goals align. If the crowd doesn’t come to you, you might have to go to the crowd. However, the Internet has made it easier for businesses to function on an almost global level. Nonetheless, for many businesses, this can be a defining feature for their services. For example: Amazon considered that its target market was everywhere in the US so when it launched as an online marketplace, it provided shipping and more on a national scale. Eventually, using predictive customer support, Amazon understood the potential to tap into other markets and expand the business along with the services. This is why we now have Amazon Prime, Amazon Kindle, Amazon Fresh, Amazon Go and more. Another example of going where the crowd is, includes Snap Chat. They knew their target market and they knew they were everywhere. With the launch of a simple app, they became accessible to millions of users, ranging in age and spread out across the globe. One of the biggest ways through which you can identify your target market and its growth is with the help of predictive customer support. Your target market will grow with your business and their needs and wants will change over time. In order to provide them with the right services and ensure proper growth, you will need to make use of predictive customer services. Businesses that don’t meet the wants and needs of their clientele cannot remain at the top of the game if their marketplace changes. For example: Take a look at the history of Kodak. The first commercial camera and picture company, Kodak had global success with an extremely wide target market. However, when technology started expanding from print to digital, Kodak didn’t take it seriously. All data showcased that the time to go digital was approaching and as more and more consumers begin opting for digital cameras, Kodak’s target market started to shrink. Eventually, by the time that Kodak had to close its doors, the target market it had previously catered to, no longer existed. Digital cameras were everywhere and film photography was virtually obsolete. https://www.woveon.com/wp-content/uploads/2018/06/lead-generation-progressive-profiling.jpg 590 900 David Dinh https://www.woveon.com/wp-content/uploads/2018/05/WebLogoBlack@600px-300x89.png David Dinh2018-05-08 22:13:312019-03-21 23:40:05Am I Targeting The Right Audience? Every entrepreneur wants their business to succeed, and the only way to do that is by driving customers to your business. It doesn’t matter what type of business you are running, all of them are dependent on the same thing: traffic. If you want success for your business, only your clients can provide you with that, and that is why you need to do everything in your power to drive customers to your business quickly. There are no short cuts. The only way you can launch your business successfully is by getting as much traffic as you can early on. That is what we are going to be discussing here, because it is going to affect your sales and campaigns as well. If you really want to establish a legitimate business, then you need to get involved with getting more traffic. There is no shortage of tips that will help drive customers to your business, but we are going to be focusing on 6 of the best tips, to help you give you that edge. Everyone loves a sample. If you really want to make a statement, then you need to get your business on the right track, and you can use the power of social media to do that. Instagram is one of the biggest and most popular social media platform around today, and you can easily drive traffic to your business through it. 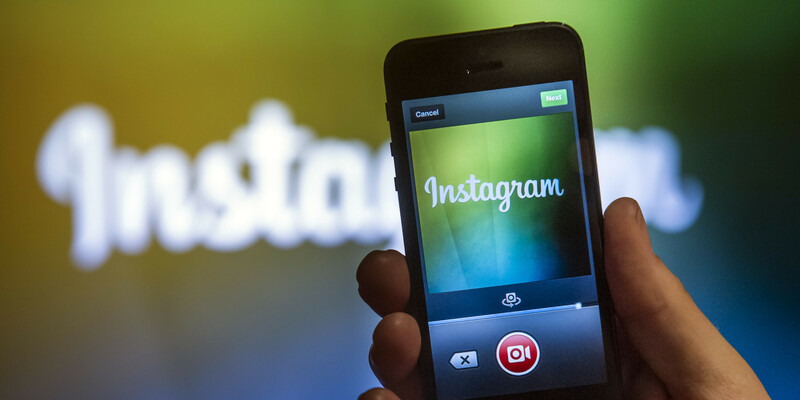 A study found that Instagram offers brands 25% more engagement, and is better for driving traffic than Facebook and Twitter! You can use it to your advantage by giving free samples to the top influencers on Instagram.This will help spread awareness about your brand and will drive customers to your business. The only thing you will need to worry about Instagram influencers is that you must target influencers that resonate with your brand and what it represents. This will quickly spread awareness among the masses about your business, and when you have the press and bloggers promoting your business, it will help drive traffic your way. Another great way to drive customers to your business is to start promoting it on Reddit. A huge part of the internet hangs out on Reddit, and anything that goes viral or trending on Reddit is immediately spread like wildfire on all the major social media platforms. The exposure your business will gain by being promoted on Reddit is unparalleled, which is why it is a smart idea to promote it there. Once your business starts trending on Reddit, you will not have any problem in attracting people towards your business, because the traffic numbers you get will be insane. You can also get your family members and friends involved to help drive customers to your business. It can be done easily by asking them to share pictures or post comments about the products and services that your business offers. You can also get your inner friends circle to go check out your business, and then recommend it to people that they know. Word of mouth is a great way to drive traffic for any customer, and you can get your family involved to help spread awareness about it. You should start engaging with people on Twitter to promote your brand, which is a solid strategy to use if you have been trying to drive customers to your business. Once you have a decent following, the next step would be to quickly engage more customers and then notice as your business starts getting more traffic. If you want to grab attention and drive customers to your business, one of the easiest and most effective ways to do that is by creating and spreading viral content everywhere. This will get people to start noticing your brand, and you will immediately see an increase in traffic for your business. Now you are probably rolling your eyes wondering I’ve tried and tried again but the viral thing is not happening. Buzzsumo has a great lessons learnt article about this.